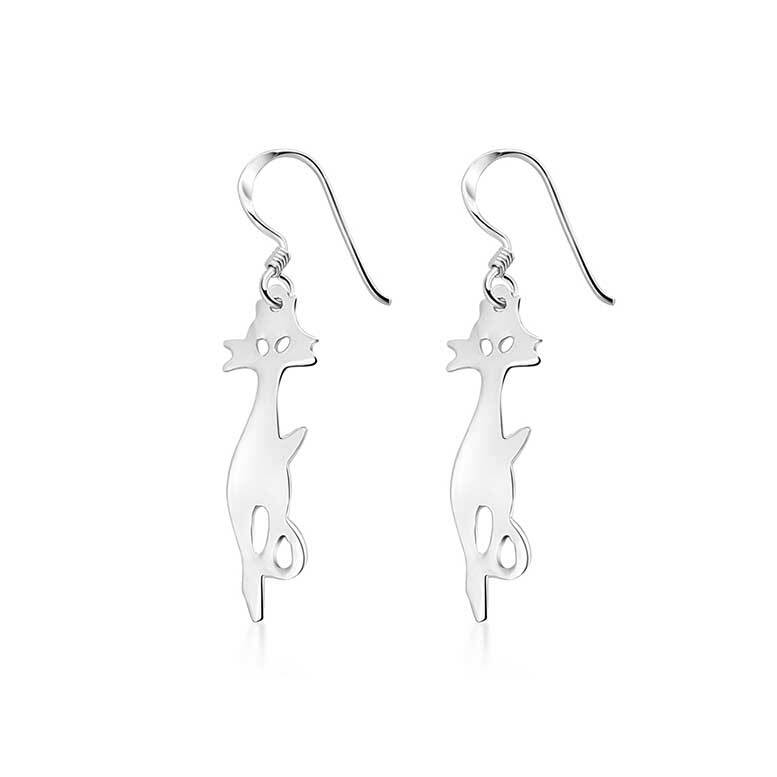 These Sterling silver cat earrings are super cute, perfect for all the cat-lovers out there. Whether you are going for cute and adorable or stylish and chic, these fabulous felines are the perfect personal finish to any look. Top tip: these cat dangle earrings make a lovely gift for any animal lovers in your life. We recommend getting a full set; be sure to check out this Sterling silver cat necklace to complete the look.